Welcome to our trailerable sailing group page. 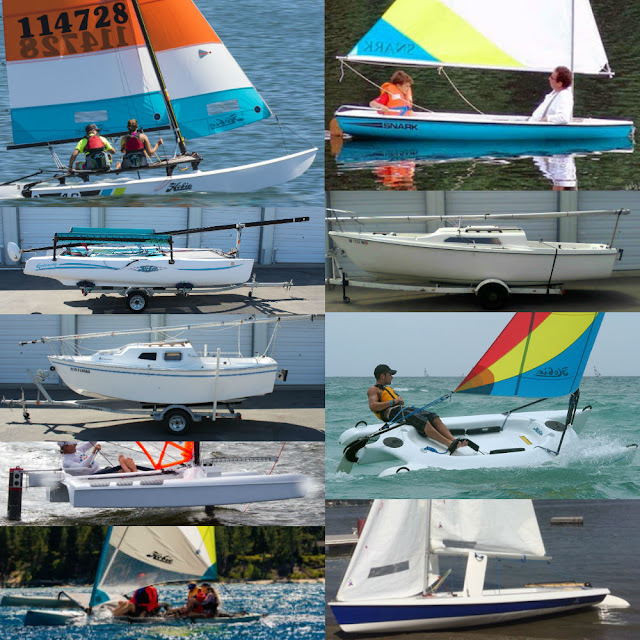 Inland Northwest Sailors are a group of sailing nuts who sail small sailboats like Hobie Cats, foiling sailboats, sail yaks/Hobie Islands, Super/Sea Snarks, Lasers and Sunfish, trailerable Keelboats, etc. Our goal is to have at least one group sailing activity a month, including the months of November-February. We post our group activities on this websites calendar and via text and email. Be advised some of our activities happen with very short notice... example someone has decided to sail tomorrow at a particular lake and will out of the blue invite others to sail with him/her. Skipper or Crew... If you have a sailboat we hope you will invites others to sail with you, particularly during one of our activities. If you do not own a sailboat (YET) there are many opportunities to crew with those that own a sailboat and would love to have the support. Not a program or club... Inland NW Sailors is not an official club but simply a group of sailors that love to sail with others. Geography... The Inland NW Sailors are spread out over a large geographical area called the Inland NW, which is Eastern Washington, North Idaho, and Northwest Montana. Thus we are a trailerable club with no official home port. All are welcome as long as one is a safe and knowledgeable sailor. If you do not know how to sail FunToSAIL offers sailing classes. Since we are not an official club we can just ignore you if you are using alcohol or drugs, or are a jerk. Of course any unsafe or illegal activities will be reported to the authorities. We do not sail on Sundays!